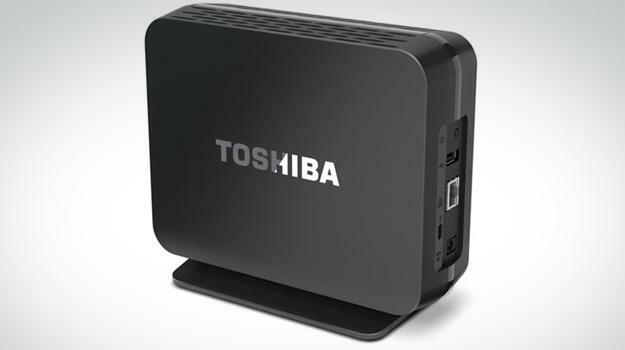 Toshiba’s Canvio Personal Cloud lets you host your own cloud service, eliminating monthly fees while still keeping your files accessible anywhere. Toshiba has a new solution for a cloud storage called Canvio Personal Cloud. It’s an external hard drive with network capability that can be accessed via your home network or remotely over the Internet. This lets users access their files from anywhere without having to pay a monthly cloud storage subscription fee. Canvio is more than just an external hard drive, however. Its bundled software is equally important. Toshiba says the Canvio software can be setup with just three steps. Once installed it allows the user to break up their files into specific categories and preview them with thumbnails and text. The drive is compatible with mobile and media platforms. Any PC, iOS, Android or DLNA device can access content on the drive. This makes it useful not only as a cloud storage solution but also a home media hub. Pricing starts at $219.99 for the 2TB version and raises to $249.99 for the 3TB model. Both connect via wired Ethernet only. A USB 2.0 port is included and can be used to add an external storage device, a handy extra that will prove useful for users who need more than three terabytes of space. A three-year warranty is standard and surprisingly long — most external drives ship with a one-year warranty. Canvio Personal Cloud goes on sale in September.